Sample-based synthesizers can be used to create the sound of a full orchestra or individual instruments. They can replicate the sound of a full drum kit, delicate vintage gear, and specialist instruments. Samplers allow one musician to play the bagpipes, a harp, a lute, and a whole orchestra, all at the push of a button. And with modern samplers, you can capture—and recreate and control—the acoustic spaces within which samples are captured. As well as offering the facility to recreate the sound of real instruments with a high degree of sonic fidelity, sample-based synthesis also allows real sounds to be used as the basis for new sounds. These sounds can then be manipulated and mangled to create unimagined sounds with genuine complexity and depth. 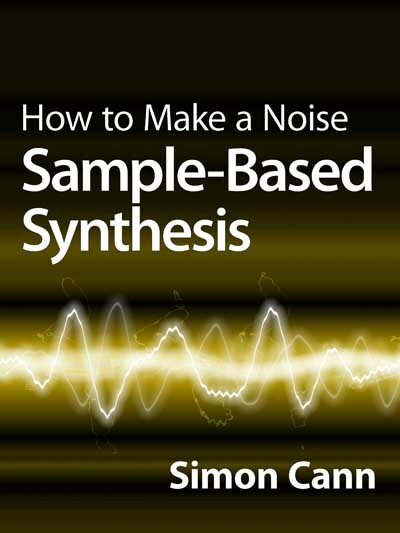 How to Make a Noise: Sample-Based Synthesis looks at how to create and control sounds—both realistic recreations of real instrument and their environments, and creative warped tones—and the tools and techniques that are available to help shape your sounds.